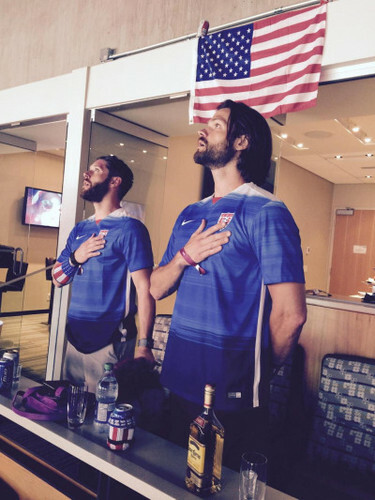 Jensen and Jared. . Wallpaper and background images in the Jensen Ackles club tagged: photo jensen ackles fifa soccer women's world cup jared padalecki. This Jensen Ackles photo contains pakaian luar, overclothes, outerwear, tanda, poster, teks, papan hitam, and chalkboard. There might also be makan, kantin, seluar panjang, and workwear.